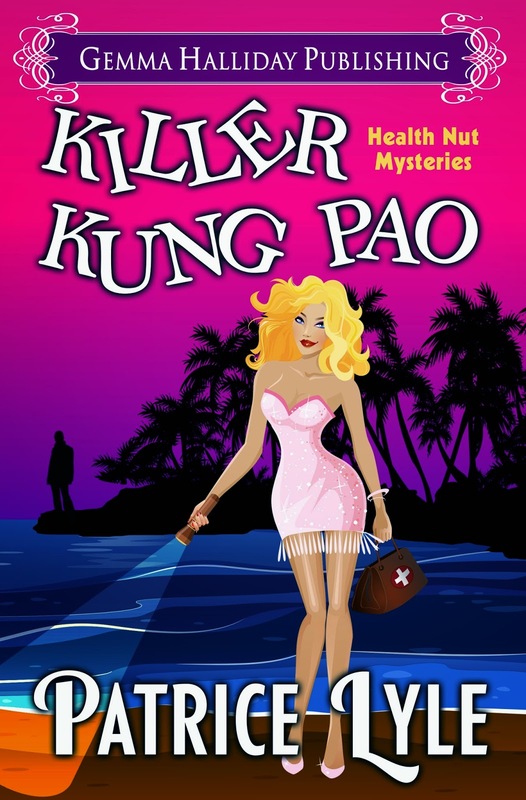 I'm pleased to welcome Patrice Lyle, author of Killer Kung Pao to the blog. Below are her top ten fave books. You'll also find an excerpt along with a giveaway at the bottom of the post! 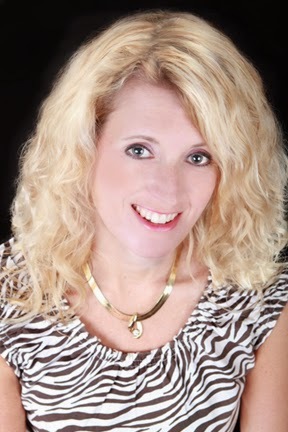 My favorite genre is cozy mystery. There’s nothing better than lying on the beach and reading a fun light mystery while eating dark chocolate. Okay, maybe add in a glass or two of champagne, and I’m set! A dream day! All of these books are fun and fabulous! So readers, what do you think? I haven't read any of these books, but I've only recently discovered the cozy mystery genre. What are some of your favorites? My aunt was the most adorable health nut ever. Clad in her size-two teal velour pantsuit, matching foam rollers, and red, patent-leather Mary Jane pumps, she strutted across the beige carpet pulling a neon green duffel roller bag and munching on a gluten-free Cosmic Cupcake (her favorite). She hadn't changed at all—including her hennaed hair—in the last three decades. And I hoped she never would. "Hey, Pipe." She planted a kiss on my cheek. "You'll never guess what happened on our walk. It was the craziest thing." Even though it had only been a couple hours since I'd last seen her, I gave her a quick hug. "I was wondering where you—"
And that was when I noticed the suspicious pink snout sticking out of the side zipper of Aunt Alfa's bag. Oh, holy chocolate babka to the nth degree. "You heard that yoga girl at registration," I said quietly. "Animals aren't allowed in here, and we have to follow the rules." She pursed her lips as if she were sucking a lemon, which she did every day because lemons are great for the liver, and pointed at a woman nearby who was accompanied by a guide dog. "Check out that dog. Studies have shown pigs are fourth on the intelligence roll, behind humans, primates, and dolphins." I was familiar with the study because she talked about it all the time. "It's rude to point." I gently lowered my auntie's arm before someone noticed her. "That woman is blind, Aunt Alfa. Guide dogs are always allowed." "I know." Aunt Alfa crumpled up her Cosmic Cake wrapper and tossed it into a nearby trashcan, making the shot like a basketball star. "Our piglet should be allowed too because he's smart enough to be a guide pig. Besides, I'm ninety-one years old. I defy anyone to stop me." A nonagenarian with a 'tude was what her dead ex-boyfriend had called Aunt Alfa during the nightmare séance. I feared he might have been on to something. "I don't like it either, Aunt Alfa, but you have to take Brownie to our room." "You know how depressed he gets alone. He'll pig out." She jutted out her crepe-paper jaw. "I can't believe I forgot Charlotte's Web. That's the only movie he likes." Finally, progress. "Actually, he loves Babe, and I brought the DVD with me." "Yeah. We watched it last weekend, and he sniffled at all the sad parts." I'd been in major Floyd-avoid-mode so I'd spent my Friday night curled up with a movie, a bag of dark chocolate chip cookies, and a piglet. Aunt Alfa shot me her pity grin. "He was just being polite, Pipe." That figured. Guys were all the same. Even the potbelly breeds. Aunt Alfa rose on her toes and glanced around the room. "I'm going to find the manager and force him to see things my way." Oh, no. Had I made a mistake insisting she come? I'd worried about her starting a riot at my condo complex while I was gone, but I hadn't considered the consequences at the expo. "You have to take Brownie to our hotel room," I said. "Seriously." Brownie must have recognized his name because just then a high-pitched, someone's-murdering-me piglet squeal erupted from her bag. Several people turned in response. One woman having a tarot card reading by the yellow-turbaned psychic looked perturbed and asked, "Was that… a pig?" Then a sneeze louder than a New York City firework festival rang out. Followed by a coughing attack. "Mystic Ming allergic to pig," a familiar voice choked out. "Ming berry berry allergic to many things." I turned to see Mystic Ming wobbling in the aisle across from me. Then his skinny legs buckled, and his face lightened to the shade of a marshmallow. Right before he collapsed onto the expo floor.